Here's the Nonsense: President Obama and Secretary of State John Kerry have worked hard to get a nuke deal with Iran that will increase security in the Middle East and protect everyone. 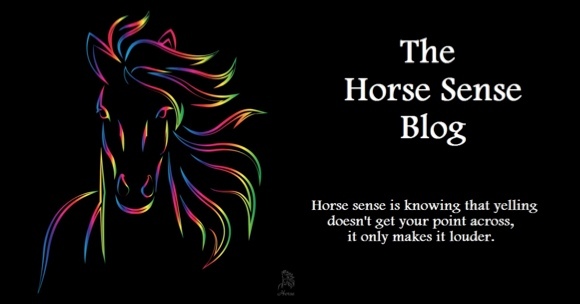 Here's the Horse Sense: The Iran nuke deal is a disaster. With all the bad things we've heard about it, one of the worst is that it gives both Iran and Russia access to military technology that is dangerous for America, Israel, and all of our allies. So, you thought you knew how bad the Iran nuke deal is? I'm guessing you probably didn't know that it also opens the door to Iran getting fighter jets that are superior to Israel's fighter jets and Russia will have access to superior drone technology. A great job of our government increasing danger throughout the world. WND is reporting that Russia wants drone technology while Iran is seeking Russian Sukhoi-30 jet fighters. (The Sukhoi-30 is more capable than the F-18s Israel uses to defend itself.) This would give Iran the ability to withstand an Israeli aircraft attack on its nuclear facilities, in addition to making them a formidable force against Israel and all of America's allies. Russia is already in the process of selling Iran the S-300 air-defense missile system, which can take down Israel’s aircraft. At the same time Russia and Iran began discussions of Iran obtaining the Sukhoi-30, they have also discussed Russia getting drone technology from Iran. This may surprise people, but Iran is known as an advanced country in the field of building drones. Last September, Iran introduced its first fighter drone that carries air-to-air missiles. This comes after a 2013 announcement that Iran had reverse-engineered a stealth American drone captured in 2011. Iran tracked the spy drone after it took off from a U.S. base in Afghanistan and then brought it down inside Iran, which Iranian sources say the Iranian Revolutionary Guard had electronically tricked into Iran. The CIA-controlled drone was stolen by Iran and they have now reverse engineered it, giving them huge advances in drone technology, which Russia would also like to have. This is what our president and secretary of state have done to America and our allies. They are not concerned with world security. Rather, they are interested in building relationships with our enemies. Actually what they've done is move America to the side of our enemies against our allies. The Iran nuke deal even requires the U. S. to defend the Iranian nuclear program from attacks. What this simply means is that if Israel were to attack Iran, we are required to defend Iran against Israel. In other words, we must go to war against Israel, who historically has been our strongest ally in the Middle East (and maybe the entire world). If you think God's judgment is coming on America for abandoning His ways, His wrath will come upon us in ways you can't even imagine if we go to war against Israel.